It was an honor to be named the 2017 NCRPA Young Professional Fellowship Award Recipient! Not only has this been a financial benefit for our department, but it has also served as a very important professional opportunity for me! Financially, this came at a great time considering our city faced across-the-board budget reductions. The department’s travel and training line item was no exception. I would have had to forgo attending the state conference or other professional pursuits this year, but fortunately, thanks to this fellowship, I was able to attend this year’s conference. In addition, the rest of our team will still have an opportunity to pursue their continuing education this fiscal year. In addition to the financial benefit of this fellowship, NCRPA also arranges a professional mentor. I was very fortunate to be appointed mentee of Ernie Pages, Director of the Town of Kernersville. Right off the bat, I was impressed with Ernie’s “drive” both literally and figuratively. When we were paired up, Ernie was currently in New Orleans for the national conference. He offered to come up to Mount Airy on Friday morning, the day after returning from the national conference. I was even more impressed when I found out he had driven from New Orleans the day prior and hadn’t arrived until that same morning we had met in Mount Airy. I came to find out that this action personifies Ernie as a person and a professional. He is a motivated individual and looks at challenges or setbacks as opportunities. Ernie and I have kept in touch and met up throughout the state conference. It was a great experience for me to learn how Ernie climbed the ladder and the defining moments along the way. As an expecting father myself, I really appreciated that Ernie also shared his experiences of balancing his professional life with being a family man. Not only was I able to add a great mentor in Ernie to my professional network, but he also made a point to introduce me to the impressive Town of Kernersville Parks and Recreation team. I look forward to visiting them all soon in Kernersville, learning more about their department and using them as a professional references in the future! Ernie echoed a message that particularly stood out to me throughout the conference: “Put yourself out of your comfort zone. Ask for or take on a task that will help you prepare for where you want to be.” I heard this message several other times in conference sessions. My biggest takeaway from these sessions was that, although I may not be ready to take the next step at this moment, I may be ready in 3 years or 5 years. It is important to gain these skills, relationships and experiences now, so when I am ready to take the next step, my resume will match my ambitions. I always leave the state conference rejuvenated and re-energized but in particular this year I am coming back with a determination to not only improve each program I oversee but also to take on new challenges that may be out of my comfort zone but will make me a better professional and candidate one day when the time is right. I’m very grateful to have received the fellowship and this experience. I’m looking forward to taking full advantage of the educational and networking opportunities and implementing what I have learned into a very successful 2018! 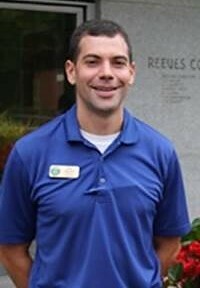 Peter Raymer began his career in Parks & Recreation as a teenager serving as a sports official with Iredell County Parks & Recreation. Peter attended NC State University and received his Parks, Recreation and Tourism Management degree in 2008. Peter worked stints with Raleigh Parks, Recreation & Cultural Resources and Honolulu YMCA before finding his “true paradise” in the City of Mount Airy Parks & Recreation Department as Program Supervisor in 2010. Peter spends most of the year programming youth and adult athletics and spends the summers directing youth summer camps. Peter says that the highlight of his job is getting to know everyone in the community and he strives to have a positive impact on everyone that participates in MAPR programs. Peter continues to officiate soccer and basketball and enjoys exercising and spending time with his family. Peter can be reached at praymer@mountairy.org or 336-786-8313. If you are interested in being a guest author for the YPN Blog, please contact Nicole at nicole@ncrpa.net or 919-832-5868. Many times while pursuing my Bachelor’s degree in Parks and Recreation Management, my family and friends would often ask the age-old question, “so you want to be a Park Ranger?”, as if that is the only position one would have in this profession. Unknowingly to them, the field provides a breadth of career choices that have long been a staple in the local communities in which parks and recreation organizations serve. Some may have believed that the little league baseball teams they grew up playing on were run by the local grocery store owner or that coaches would randomly show up on Saturday mornings and impromptu games would just happen. Perhaps, the mythic ideas that dance and music programs held at local recreation centers were solely made possible by a private sector musician, or that halftime entertainment at collegiate and professional games were just a byproduct of the experience. Whatever the thought may be, many Parks and Recreation professionals are the brains behind many programs in the community such as various sport leagues, dance classes, special events, community gardens and the operation of the park system amongst other year round activities. Simply enough, Parks and Recreation is more than you think. Like the field itself, one may venture to assume that all you will do at a professional conference is sit through long lectures aimed to give you data and information to help you become a better professional. I, on the contrary, believe the 2017 Carolinas Joint Conference will surpass those preconceived notions about what a conference entails. The 2017 Carolinas Joint Conference will offer a plethora of professional advancement ideas and opportunities to help you gain more knowledge, network and socialize with other like-minded professionals. The conference will offer educational sessions, tours of facilities, and have a host of socials for students and young professionals to attend. With so many sessions to choose from, you may feel overwhelmed and question “what if I choose the wrong one? How can I be sure that what they are discussing is beneficial to someone like me?” As a guide to assist you in choosing the right sessions, the conference program will have session identified for students and young professionals marked with a lightning bolt symbol. While students and young professionals are free to attend any sessions they would like, here are three of the several sessions identified with students and young professionals in mind. If you are attending conference for the first time, consider attending “Navigating 101- How to Make the Most of Your Conference Experience.” This session will give you great insight and tips on what to expect, what to do, and techniques on maneuvering in social networking environments with other Parks and Recreation professionals while at the conference. Additionally, upon entering the field as a recent graduate or young professional we often secure entry level positions such as Recreation Center Directors, Sports Coordinators, or Program Specialists to name a few. These positions and others like them help us embark on our professional journey and often place us in the middle of the organization’s and community’s political scene. The panel session “Community Recreation and Politics: How to Navigate the Muddy Waters” will provide attendees methods for how to interpret policy and procedures and better understand the chain of command when it comes to addressing political concerns from patrons. If you have the desire for growth and to be or do more in the profession, it is important to understand that the art of growth in the field takes preparation and action. The panel session “Upward Mobility: Cultivating the Skills to Excel in the Profession” will outline strategies used by professionals that may help you in your journey of moving up in the profession. There will be other educational opportunities that include Resume and Mock Interview Drop-In Sessions, as well as off-site innovation institutes, including a student-only tour. At the resume review and mock interview sessions, you will be able to receive immediate feedback on your resume and interview presentation skills from current Parks and Recreation hiring managers. If you are Interested in exploring what the Greensboro Parks and Recreation Department has to offer, in terms of careers and facilities, sign up for the free tour options at registration on the first day of the conference. This is a great way to get a glimpse into how the City of Greensboro Parks and Recreation Department CARE's (creates economic impact, advances conservation, rejuvenates health and wellness, and enhances quality of life) by providing a variety of opportunities at facilities and spaces that help build better lives and better community. Last but not least, if you are looking for the chance to network and be social there are several opportunities for you. If you are looking for a mentor, sign-up to participate in the mentor-mentee lunch, where you will be matched with an experienced professional based on your professional interests. If you are looking to explore the city after a long day of attending sessions, come to Boxcar Bar + Arcade for a student and young professional social on Monday evening. Take along your conference badge for the chance to redeem a few free tokens. Since social media is such a major part of our lives and a great way to share your experiences with friends and peers, be on the lookout for selfie stations and social media challenges throughout the conference, and be sure to tag any social media posts from conference with #NCSCParksCon. Stay up-to-date by downloading the 2017 Carolinas Joint Recreation Conference App on your smartphone and checking the conference website. As you can see, at this year’s conference there will be more than you think. We look forward to seeing you all there partaking in all that is in store for you. More information on all student and young professional conference happenings can be found here. Monique Floyd is a two time graduate from the University of North Carolina at Greensboro. She obtained both a Bachelor’s and Master’s Degree in Parks and Recreation Management, with a concentration in Leisure Studies. She is currently serving as one of the Assistant Athletic Directors with the Greensboro Parks and Recreation Department. Her role consists of programming the Adult Softball and Basketball leagues as well as managing the field allocation and daily rentals of the department’s baseball and softball facilities. 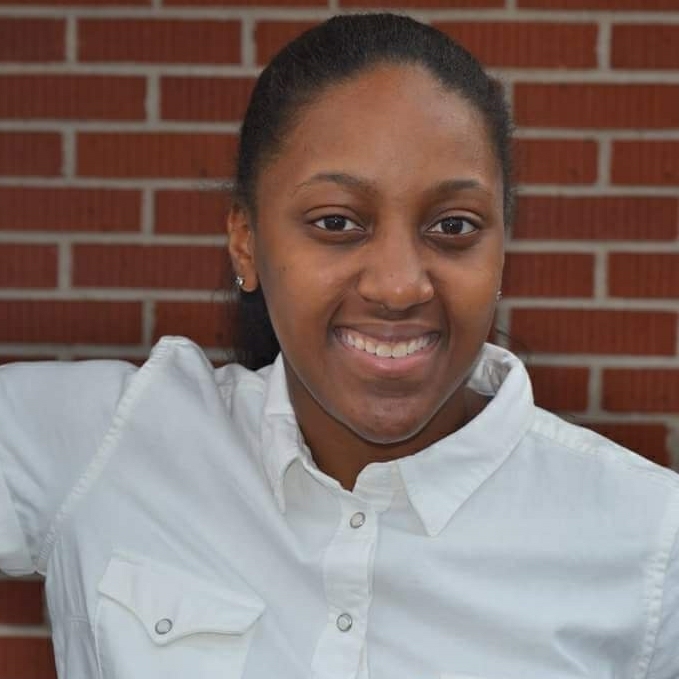 She enjoys being active and playing basketball - she was a four-year starter for UNCG’s Women’s Basketball team. She also enjoys hanging with family, exploring photography and listening to music in her spare time. As a child, I loved school, but I definitely fell victim to one of the trappings of performance-based academic systems; the perfectionist inside of me took over, and finding the “right” answer became the force that drove me. As I grew up and went out of the school system and into the world on my own, I struggled to make sense of my place in a messy world where there are so few right answers. I’ll admit, the first gray hair I found a couple of years ago now has a few friends, and, with seven years in Parks and Recreation, I’m not as young a professional as I used to be. Still, it was a privilege for me to attend the NCRPA State Conference in October through the Young Professional Fellowship Program. It was my first NCRPA Conference, and I somehow got both myself and my inner perfectionist in with one conference badge! As an arts person in parks and recreation, sometimes I still struggle to make sense of my place in the profession. At the NCRPA Conference, I was again reminded of how wonderful the struggle to find your place can be, and I value the opportunity to share with you some of the questions and ideas that were sparked for me at the conference. 2016’s conference theme of “Leading Through Innovation” was a nod to both the excellent programs highlighted during sessions and the outstanding professionals that are making them happen. The further I get from the conference, though, the more I see the statement as something bigger with more important implications. Leading through innovation is a concept for us to embrace as young professionals not only in the ways that we carry it back to our cities and towns, but also in the ways that we approach finding our places in the profession. Our profession has been around for generations and each day I’m grateful for and reliant on the work that has come before me. As a young professional, how can I honor the legacy of our profession, learn from where we have been, and remain relevant in a changing world? How do I find the balance between stewardship and entrepreneurship that is key in our profession? I think the answer lies in each of us. From where I stand at the intersection of being a young professional and having some experience under my belt, the best thing about being a young professional is the gift of not having your path set for you yet. At this intersection, there’s plenty of room for innovation, not only in the realm of programming, but also in the ways that you can develop as a professional. Embracing the struggle to find your place can force you to ask questions about yourself and your goals that an easy, clear path might never force you to ask. At the conference, Dr. Deb Jordan presented a session on program evaluation entitled “What we do: does it matter?” The more I’ve thought about Dr. Jordan’s concepts and best practices for program evaluation, the more I’ve come to think they could be interesting tools for a different type of evaluation. What if we began leading through innovation by taking an innovative approach to our professional development? What if we used these tools to evaluate and map our own professional growth? What if these were the questions we thought through as asked for guidance from our supervisors and mentors on our journey toward leading through innovation? You already know the information. You’re not going to use the information. You can’t do anything about it. Why are you asking the question? Will potential answers tell you what you want to know? Will you get enough information to be able to make a decision and take action? How are you going to analyze the responses? As young professionals, are we asking the questions we need to figure out where we are, where we want to go, and how to get there? Are we asking enough questions of ourselves and our line of work? In her conference keynote, Dr. Maureen Dougherty defined innovation as empowerment plus creativity. As young professionals trying to develop and lead through innovation, how can we seek empowerment from our leadership and how can we prepare to give empowerment as a gift to the next generation of professionals? What would happen if we set goals and performance measures for our own ability to empower the people we lead? What would happen if we set goals and performance measures for our own creativity as leaders and as public servants? As stewards of public resources, we have to strive for efficiency and performance, and, especially as a young professional, it’s easy to put your full effort into trying to find the “right” way to handle the messy business of serving human beings. In pursuit of a “right” way to serve our communities, are we getting stuck in the weeds and missing the big picture? Are we trying so hard to find the “right” answer that we sometimes fail to realize that the question has changed? Do we think too much about our profession and not enough about the world that’s changing around us? Where’s the right balancing point? As young professionals, we have choices. Will we stick to trying to find “right” answers? Or will we embrace our messy world and its lack of right answers and do our best to serve by growing and developing ourselves as leaders through innovation? What impact will our choice have on our profession and all of the young professionals who come after us? Raised on a farm in rural NC, Eliza Kiser graduated from NC State University’s College of Design and started her career working as a project manager at an exhibit design firm. Eliza was born a public servant but took a winding road to find herself today serving artists of all ages as Director of Pullen Arts Center for Raleigh Parks, Recreation and Cultural Resources. A child who loved playing with blocks, Eliza continues to enjoy trying to put ideas, people, tools, and resources together in new ways to build cool stuff. Eliza can be reached at eliza.kiser@raleighnc.gov or 919-996-6126. If you are interested in being a guest author for the YPN Blog, please contact Nicole at nicole@ncpra.net or 919-832-5868. Thank you to all those who attend the 2015 Carolinas Joint Conference last week! The NCRPA team, as well as professionals and students from across the states of North and South Carolina assembled together at the Myrtle Beach Convention Center. The conference was jam packed with educational, networking and social event opportunities that many took advantage of! Even though conference is over, we thought now would be a good time to share some tips on how you can stay active while on the go! When you are traveling it is essential to be mindful of staying committed to living a healthy and active lifestyle. While I was away at conference, it made me realize how important it is to continue to be healthy to remain energetic and alert during the long day. This blog discusses some active and healthy eating recommendations for when you are away from home. Begin the day with a morning walk! Hotels usually have suggestions of trails or parks nearby, or even a gym within the building. Conferences are full of sitting during presentations and meetings, so get your heart rate going by stretching the legs and going for a quick walk. Even squeezing in a quick walk during lunch can help your mind take a break and enjoy the fresh air. Another idea is to always take the stairs rather than the elevator, getting those extra steps in will make a difference. USA Today provides great suggestions on eating healthy when traveling for business. Begin your day with whole grain cereal instead of donuts or bagels. Another idea is to grab a cup with low-fat yogurt and a banana. Pack snacks that are easy to eat while you are on-the-go! Pretzels, sliced apples, oranges, chopped vegetables, and protein bars are a perfect source of healthy ingredients and a smart alternative to fast food. For lunch, select lean meats, vegetables, spinach wraps and whole grain breads. A side salad, fruit salad, pasta salad, or broth-based soups can be a lot healthier than fries or chips. Lastly, for dinner, select simple appetizers such as a salad or fresh vegetables. There are plenty of healthy entrees that include fish, lean meats such as chicken or turkey, or vegetarian options without the heavy cream sauces. Also, remember, staying hydrated during the conference is vital. Water is the best way to go to keep yourself focused and well hydrated. Another option is to drink unsweetened coffee, tea, and sparkling water during the presentations, it is a healthy substitute compared to the high-sugar, high-calorie drinks. It is up to you to discover healthy and delicious foods while you are on the go! You can share these ideas and suggestions with your department and community!